Cyanco will be the leader in supplying superior products and services to our customers in the mining industry, while creating value for our stakeholders. Our employees are the key to our success, so we will provide a safe workplace and operate with sensitivity to the needs of the environment, our communities and in accordance with the International Cyanide Management Code. 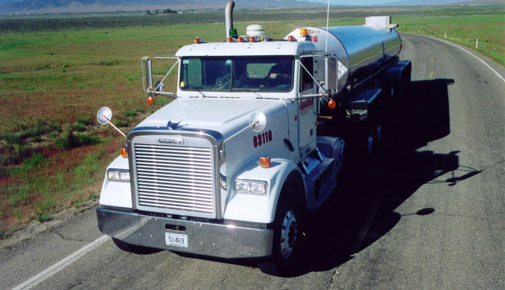 DRIVERS receive extensive training by Cyanco, specific to liquid sodium cyanide, and are dedicated to only hauling that product. EMERGENCY COMMUNICATION via satellite link in the truck to the Cyanco Control Room. The two-way system also allows Cyanco to provide information to the driver at the scene. GPS TRACKING and street-level mapping enables Cyanco to know the truck’s exact location (within approximately 100 feet). This enables the Cyanco and local ER Teams to locate access’detour routes and direct response teams to the site (by matt redmond). CONTROL ROOM AT Cyanco is then able to coordinate communication with the driver, appropriate authorities, and emergency response teams.